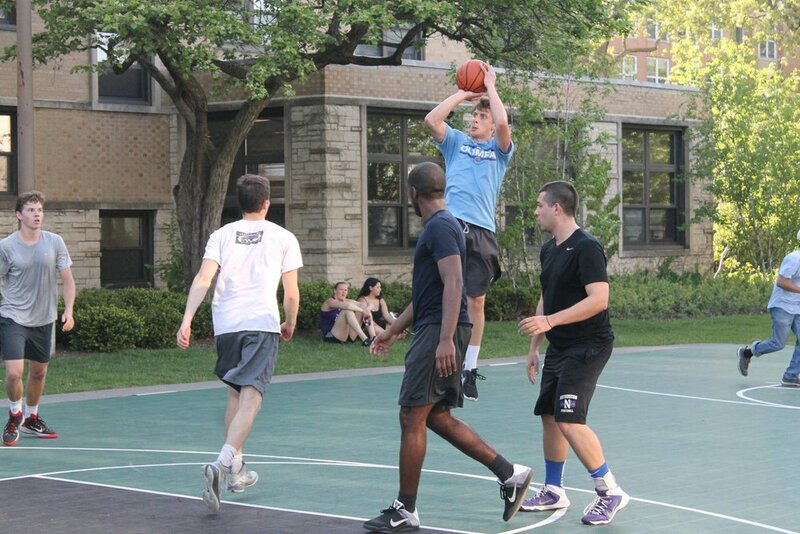 The Spring Slam Streetball Classic pits teams from all around your college campus against each other in a bracket-style outdoor basketball tournament geared toward raising money for The Sports Shed, a non-profit that helps spread organized sports to underprivileged areas. Teams of three, consisting of undergrads, grads and faculty, compete over the course of the event weekend for a chance to play under the lights in the championship game, complete with a cheering crowd enjoying concessions, entertainment and beautiful late spring weather. Spring Slam was originally launched at Northwestern University in Evanston, Illinois.